Falk Keuten of the Spiel und Kunst mit Mechanik blog wrote to let us know about an automaton in my own backyard. Given that he's in Germany, it's fair to say that he is a very well-informed man! 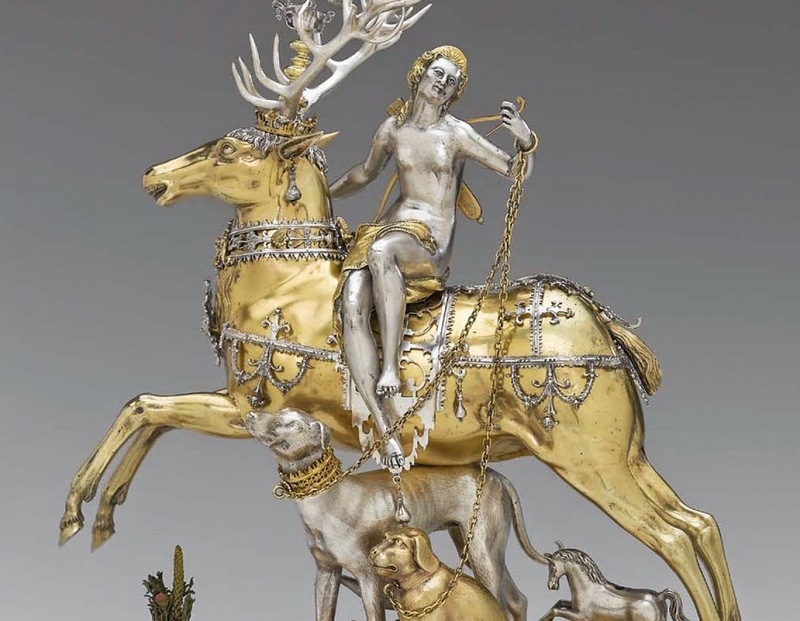 A new exhibit at Boston's Museum of Fine Arts features an automaton of Diana, goddess of the hunt, riding a stag. The piece is in the museum's new Kunstkammer gallery, which now displays the type of thing that wealthy individuals in Europe in the 16th and 17th centuries might have collected. The piece itself is made from cast and chased silver -- some parts gilded, some painted with lacquer. The automaton was designed as a form drinking game at courtly banquets. It moves about the table and stops arbitrarily. If it stops near you, it's your turn to drink. 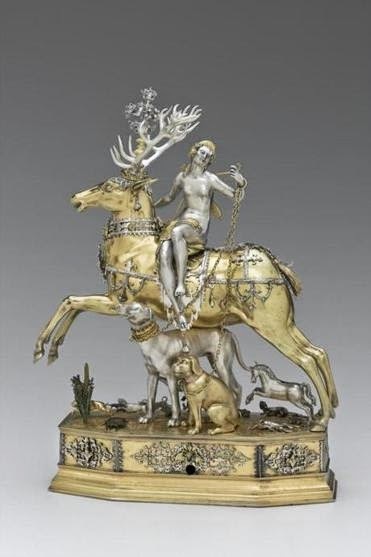 Here's the full article in The Boston Globe on the ‘Diana and Stag Automaton’ at Boston's Museum of Fine Arts. Here's the MFA's page about the new Kunstkammer Gallery. This book depicts the golden age of German clockmaking. The volume offers the most comprehensive examination of the German Renaissance clock ever undertaken. From the founding of the clockmaker's guilds to the eventual shifting of the craft's supremacy from German-speaking central Europe to Holland and England after the Thirty Year's War. Includes contributions from 14 scholars, over 200 illustrations and technical drawings.